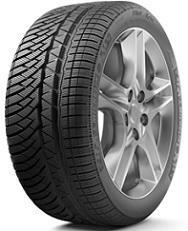 Winter High-Performance Passenger Car Touring tire. Designed for OE Fitments like the Corvette Stingray. Great winter tires, I definitely recommend them. Goes very strong on snow and icy portion of the road. Hey people, i had those tires for like 15k km as well had some micheline before but those are the new generation and i loved them, those are the best of my tires! This tire is great for lovers of fast driving even in the rain. It turns out to be very noisy and even uncomfortable for the first 5000 km. It has excellent grip on braking and starting on wet roads, enough to smoke all the world ... For drivers looking for comfort and safety there is the Pilot3, this one is intended for the type of the piloting mode and the mountaineers.